Highlights and report as Jose Mourinho's men suffer a second successive defeat at the Amex. A devastating first-half blitz from Brighton secured a memorable 3-2 victory over Manchester United on Renault Super Sunday. 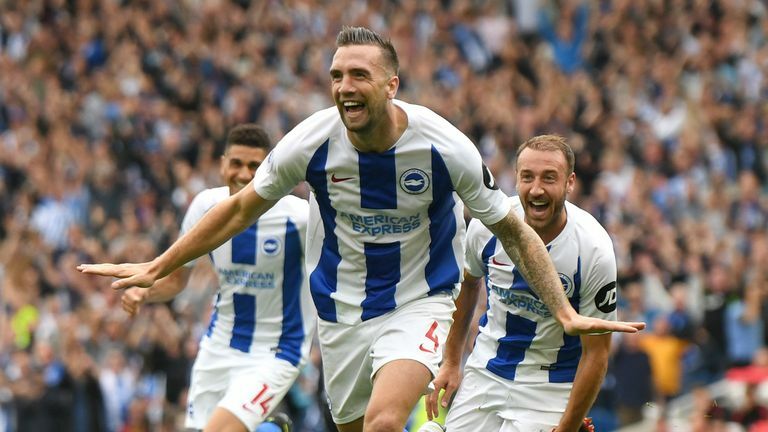 There was sheer jubilation inside the Amex Stadium as two goals in two minutes from Glenn Murray and Shane Duffy put Brighton two up inside 27 minutes. Romelu Lukaku halved the deficit on 34 minutes with a close-range header but there was no respite for the beleaguered United defence as Pascal Gross won and converted a penalty on the stroke of half-time to put Brighton in control. Paul Pogba scored a penalty in stoppage-time but it came too late to inspire a comeback as Jose Mourinho, in the week in which he accused Manchester City of lacking class, was left to reflect on a gulf in class on the field. Brighton: Ryan (7), Montoya (7), Dunk (5), Duffy (8), Bong (7), Propper (7), Stephens (7), Gross (8), March (8), Knockaert (7), Murray (8). Subs: Balogun (7), Kayal (n/a), Locadia (n/a). Man Utd: De Gea (5), Young (4), Lindelof (4), Bailly (3), Shaw (5), Pereira (4), Fred (5), Pogba (5), Martial (5), Mata (4), Lukaku (6). Subs: Rashford (5), Lingard (5), Fellaini (5). Man of the Match: Shane Duffy. 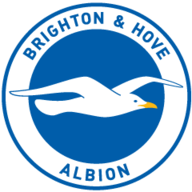 Brighton lost captain Lewis Dunk to injury after an even opening 21 minutes, but rather than handing United the opportunity to expose any defensive weaknesses, the Seagulls went on the attack to devastating effect. After Anthony Knockaert dragged a shot wide, Solly March drilled a cross into the United area where Murray nipped ahead of his marker to deftly chip his first goal of the season beyond David de Gea. Brighton celebrations turned to pandemonium two minutes later as United failed to clear their lines from a corner on no more than three occasions, allowing Duffy time to rifle a quick-fire second. 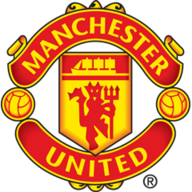 United were shell-shocked and bereft of ideas until a cross under pressure from Luke Shaw found Lukaku in space in between the advancing Brighton centre-backs, and the Belgium international nodded home from close range. Brighton made two changes from their opening-day defeat at Watford. Both came at full-back as Bruno and Bernardo come out made way for Martin Montoya and Gaetan Bong. After a summer of speculation, Anthony Martial started for Manchester United, with Alexis Sanchez not in the squad. Ashley Young replaced Matteo Darmian at right-back while Romelu Lukaku got the nod ahead of Marcus Rashford in attack. But the momentum was soon back in Brighton's possession as a needless Eric Bailly lunge on Gross, who was going away from goal, handed Brighton a penalty, which the German dispatched through the legs of De Gea. Mourinho brought Jesse Lingard and Marcus Rashford on at the break, and Marouane Fellaini on the hour, in a bid to inject some life into his struggling side. United improved slightly but took an age to test Maty Ryan, Pogba's curling shot from the edge of the area drawing the Brighton goalkeeper into action 16 minutes from time. And by the time Pogba had converted a penalty deep into stoppage-time, after Duffy had brought Fellaini down, it was too little too late as Brighton basked in another memorable victory. 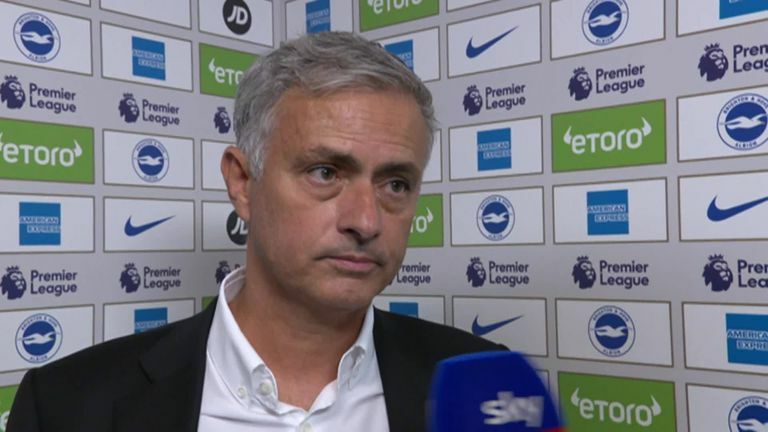 Since taking charge of Manchester United at the start of the 2016/17 season, the only opponent Jose Mourinho has lost against more often than Brighton (2) is his former club Chelsea (4). Brighton have lost just one of their last eight home games in the Premier League (W5 D2 L1), with the two most recent both being wins against Manchester United (1-0 in 2017/18 and 3-1 in 2018/19). This was only the tenth time in Premier League history that Manchester United conceded three first half goals in a game, and the first time since October 2015 v Arsenal. Manchester United lost their first away game of a Premier League campaign for the first time since 2012/13, when they lost 0-1 against Everton at Goodison Park. 23 of Glenn Murray's 24 goals in the Premier League have been scored from inside the box, including 100% of those scored for Brighton in the competition (13/13). Pascal Gross has scored eight goals in the Premier League, with all eight coming at home. Only Georginio Wijnaldum (18) and Clive Wilson (9) have netted more goals exclusively at home. Paul Pogba ended on the losing side in a Premier League game he scored in for the very first time - prior to today, Manchester United had won each of the previous 11 games he had netted in, which was a joint-record in the competition (with Ryan Babel for Liverpool - 11 games). 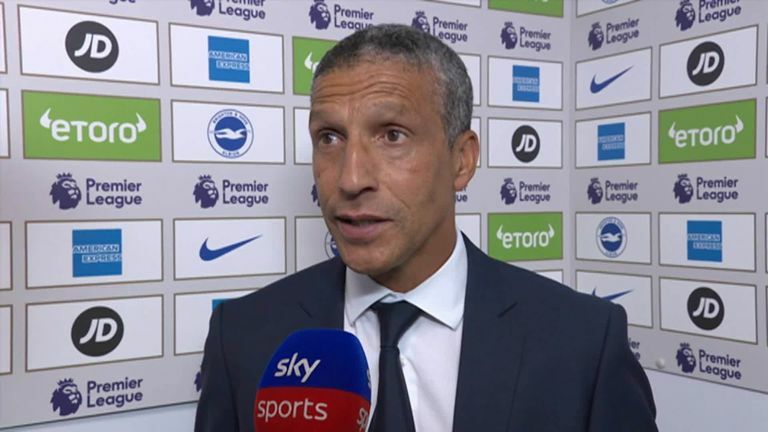 Chris Hughton: "The tempo right from the start, we always had an outlet. If you score three goals against any of the top six, it's always a good feat. We forced things our way today with a very good performance. On the whole the team were excellent." Jose Mourinho: "I was not expecting big mistakes. We are not speaking about small mistakes, we made big mistakes, and we were punished by them. Of course when you lose your confidence, you lose a bit of the game plan." The Irishman was a force at the back throughout and took the loss of defensive partner Dunk in his stride. He proved his worth in both boxes with a finish befitting of a striker for Brighton's second goal. Conceded a late penalty but not even that could take away from Duffy's immense display. Brighton travel to Anfield to face Liverpool in next Saturday's late kick-off before United host Tottenham on Monday Night Football - live on Sky Sports Premier League.